Come check our new website and view our galleries of Custom Homes, Craftsman Homes and Renovations. Hey everyone! Welcome to our blog! Thank you for taking the time to read what we have to say. We hope that this information is helpful, educational, and interesting for you. If it is, we hope you consider sharing this on any of your social media accounts and with your friends and family. We would also love to hear your feedback. If you have questions or comments, please feel free to reach out via Facebook or Instagram. Let us know what topics you’d like covered! 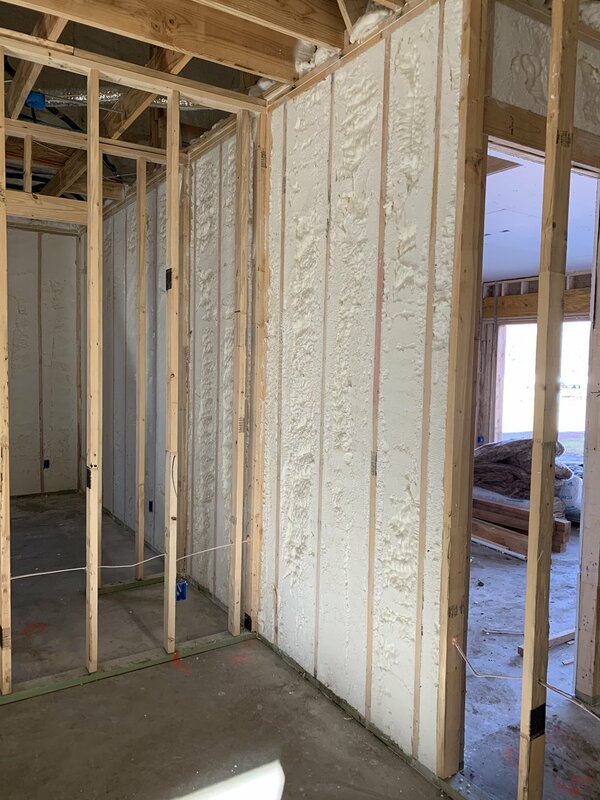 For this blog we’re going to discuss insulation, specifically the spray foam insulation we use in the vast majority of our homes. Well…its foam! More specifically, the foam is a mixture of chemicals that react with oxygen. When this reaction occurs, the foam expands 4-5 inches filling wall and ceiling cavities. This layer of foam takes the place of traditional blown or batt insulations. That is huge question. There are a ton of reasons why and I’ll try to cover a few. First and foremost it provides a better R value (how effective the insulation is; thermal resistance) per inch (thickness) as compared to traditional blown or batt insulation. This allows your home to stay warmer in the winter and cooler in the summer. As I’m sure you can imagine, that reduces heating and cooling cost which saves you money! Most estimates center around 50% savings over time vs traditional insulation types. Foam also last longer when compared to the traditional blown and batt insulation styles. Foam tends to be more resistant to moisture, chemicals, rodents and dirt which are the main killers of insulation. Additionally, foam is MUCH better at sealing off spaces from air intrusion. This leads to better performance of your insulation. Lastly, foam can lead to a healthier home. Being resistant to moisture and mold growth combined with a solid seal from the outside dust and pollen leads directly to better air quality inside your home. This allows you to save money and breathe easier! So foam sounds great…what’s the catch? Cost. There is no hiding it. Foam is the highest performing insulation option on the market today. With that performance comes additional cost. We generally see foam accounting for an increase of approximately 50%. For reference, in a 2,000 square foot home, you’re looking at $2,500 for blown/batt vs about $5,000 for foam. We think it’s worth it. Please feel free to visit our preferred vendor’s website: http://www.rosesprayfoam.com and as always come back for our next blog! We will continue to cover any and all aspects of home building! Already have a piece of property? MCH specializes in building homes on our clients lots and acreage. 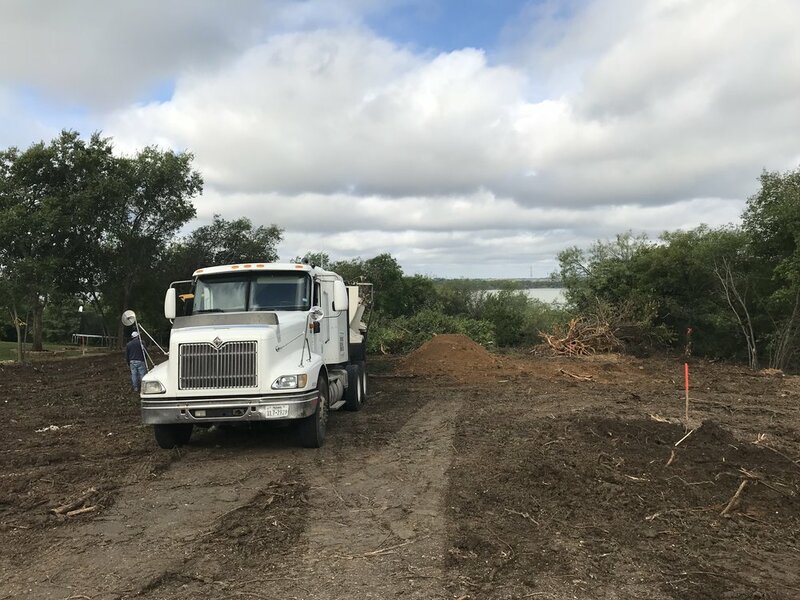 With over 40 years of experience, we understand the intricacies of this process and are equipped to build your dream home wherever you choose. MCH is excited to announce that we have 2 more lots available in historic downtown Mansfield for your Beautiful Craftsman home! These lots are in walking distance to THE LOT, a live music venue, restaurants, shops, walking trails and so much more! Downtown Mansfield is welcoming new restaurants and businesses to create a destination that's fun for families and individuals alike. Come and build your MCH craftsman home and be a part of this fun community! Contact us today for more details about lot availability and getting started on your home!